As we’ve stated in our recent blog posts about franchise marketing, building a sound e-commerce strategy and architecture is no walk in the park for franchisors when it comes to managing multiple web stores, branded sites and a network of local websites for franchisees. Given the apparent complexity of multi-store website building, franchisors are prompt to give up altogether on taking the matter in their own hands and let specialized outsiders handle the whole process. Who would blame them? Developing a network of multiple online stores with their own products line while ensuring full synchronization with the franchisor’s master catalog is not an easy task. Add to it multiple physical locations with their own PoS systems, countless scattered communications channels, branding and pricing policy issues, the inevitable ​ro​gue franchise websites, and you got yourself a discouraging franchise network deployment nightmare. What solutions to build a cost-effective franchise network? As a franchisor, you don’t have a whole lot of solutions to solve this conundrum. You can turn to your usual web consulting firm and ask them to build the whole thing from scratch. Costly, with no guaranteed results given the tasks at hand and the essential knowledge of your franchise inner processes required to fulfill your needs. You can choose the inhouse solution by hiring seasoned developers, hope they will be able to understand your needs and build your online network based on your current system. Costly too, and you will usually end up with a hard-to-scale, technology-dependent labyrinth of a system. You can finally buy a complete, turnkey ecommerce franchise solution. These usually come with a hefty per-store price tag that will seriously hinder on you operating budget, not mentioning that they will rarely fit your original needs as your operational process will have to fit the solution instead of the other way around. Finally, you can choose to be smart and work with a multi-stores ecommerce specialist that has a proven record in both franchise network development and multi-sites franchise marketing. Granted, these don’t grow on trees and you have all the reasons in the world to doubt to ever find one that will be able to turn your vision into reality. 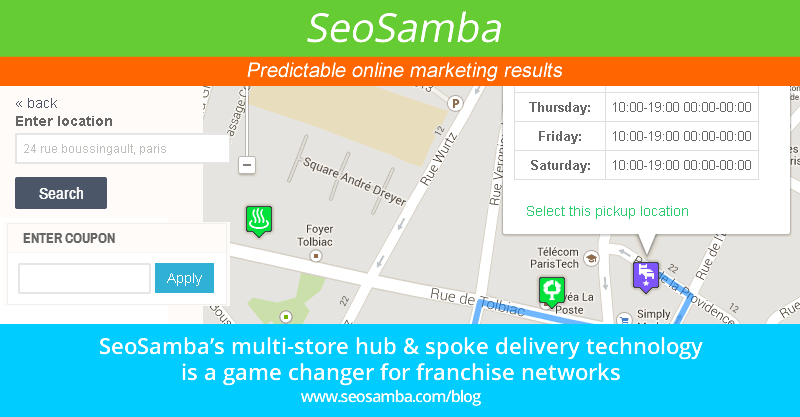 If you’re reading this though, you are in luck, as SeoSamba is the only multi-websites internet marketing platform built for franchise brands from the ground-up and powered by hub & spoke technology. SeoSamba introduces groundbreaking features, unseen to the multi site Ecommerce & franchise market. Scalable, evolutive and cost-efficient, the latest SambaSaaS version now integrates natively multi-location order pickup for retail stores, letting online shoppers easily order online and pick up their orders in-store at the franchise retail location of their choice in just one click through a convenient map-based delivery system. 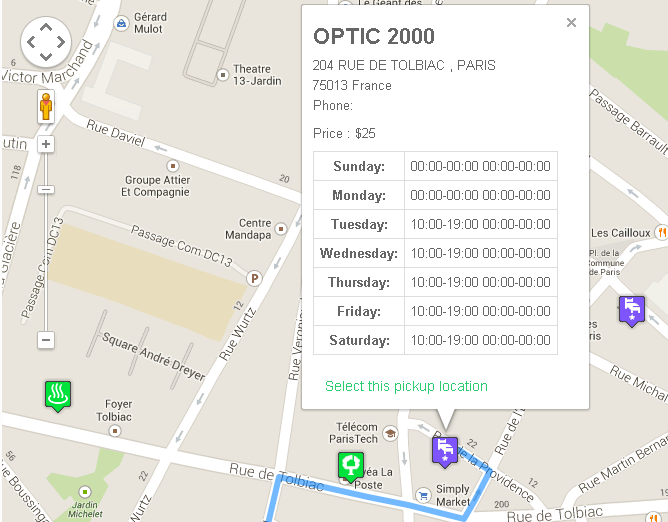 Even better, the multi-location pickup system can be upgraded at will with simple plug-ins to customize pick-up delivery options, expanding footprint to a virtually limitless network of convenient retail locations. 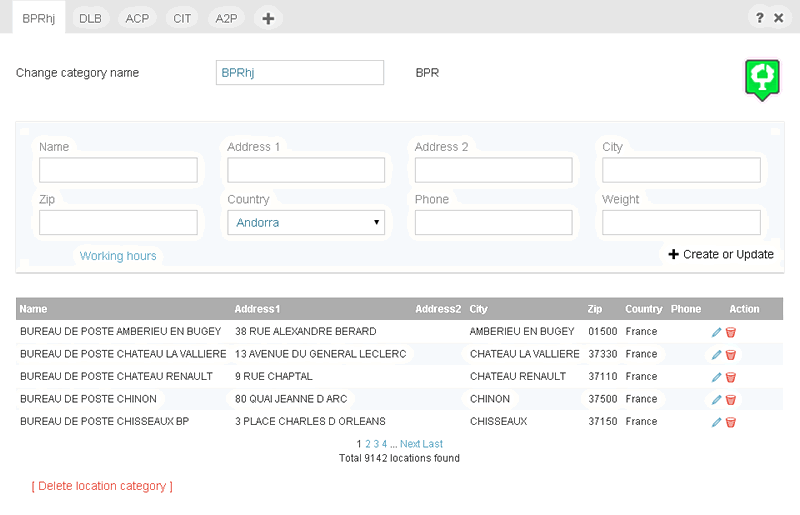 For instance, SeoSamba integrated 80,000 location points SoColissimo network from the French national post office, enabling any franchise to instantly add to its delivery network. 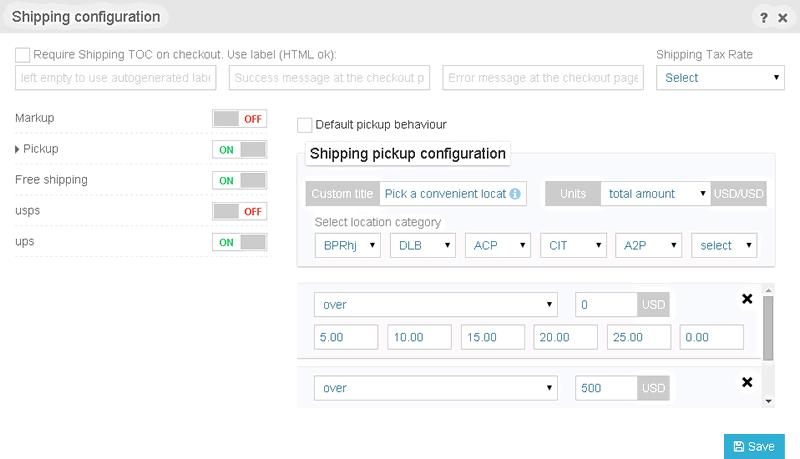 Scheduled automatic updates, integrated location-specific holidays calendar and filters, customizable labels and icons for each location type, per-weight or cart-amount based pick- up prices, and automated location types/categories selection are only a handful of the features included in the system, while the customizing possibilities are endless. Yet, the greatest benefit of SeoSamba’s multi-store franchise network system might very well be its core scalability, as it works equally well for 2 or 2,000 stores, which lets starting franchisors and nationwide distributors alike enjoy the same great benefits. Mimicking the power of group purchasing, SeoSamba’s hub and spoke technology does prove increasingly effective as the franchise network grows though, as cost-saving features are passed on to each individual local franchisee in the network. To ensure multi-site online retailers and single franchisees can harmoniously develop their own strategies while ensuring franchise-wide brand control, SeoSamba”s franchise platform also enables multi-site marketing across all channels and at all levels, from SEO performance to email marketing, PR, social , phone & SMS marketing. Loaded with product catalogue and inventory synchronization features while allowing for customizable pricing and natural local referencing, SeoSamba’s hub and spoke technology is the single answer to all needs that matter for forward-thinking retail brand franchisors. The multi-store pickup delivery is just the latest example of what a scalable solution built from the ground up for multi-site setups can accomplish for franchise networks. As such, it is a definite game changer for franchisors who can now rid themselves of any blocking point to making their franchise network endlessly scalable while maximizing return on investment at all times, and regardless of their size. SeoSamba is the ​multi-site franchise marketing specialist, helping web agencies, e-tailers, franchise networks and enterprises build, manage and optimize websites for top search engine performance.